Goffre obviously thinks we're still living in the LOADSAMONEY 1980's. Ahem. 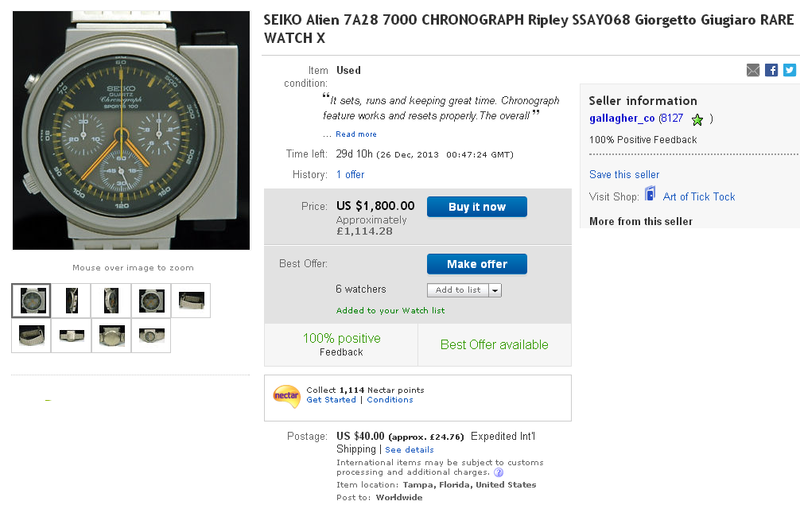 I think we now have a NEW ALL-TIME RECORD HIGH CRAZIEST ASKING PRICE for a Seiko 7Axxx .... well almost. Let's face it Goffre's incompetence is nearly as legendary as his stupid asking prices. 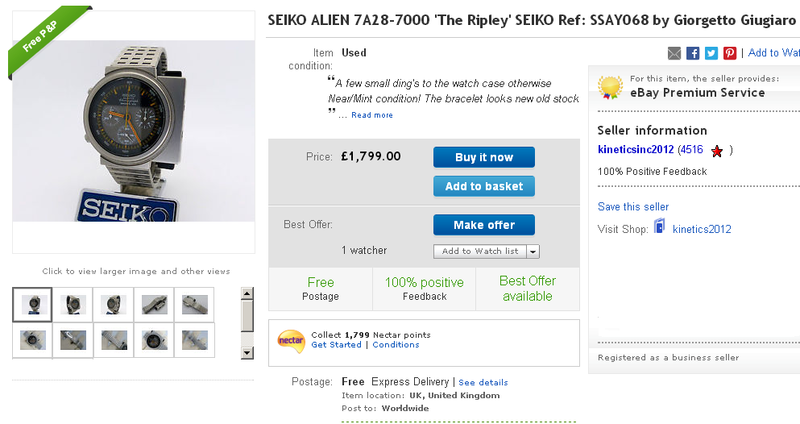 Have you seen how many revisions he's already made to that 7A28 Bishop (was 'Aliens') listing in the first half hour ? It still amazes me where Goffre gets his constant stream of NOS highly desirable watches from. 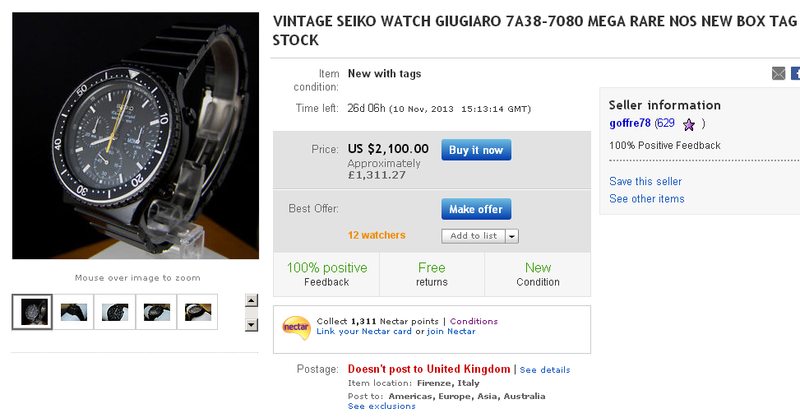 There must be a lock-up in Italy somewhere that's like Seiko fan heaven. After the way the absent member over-reacted the last time I gave one of his eBay 7Axx listings a 'free plug' in the Crazy Prices thread, I guess I should be a little more careful in my choice of wording. Not quite £1,400 this time, but still more than double what most other 7A28-7000 Aliens in a similar condition have sold for recently. But perhaps not quite altogether 'correct' either. What do I know ? Scroll to the bottom of the second page of the Aliens thread. 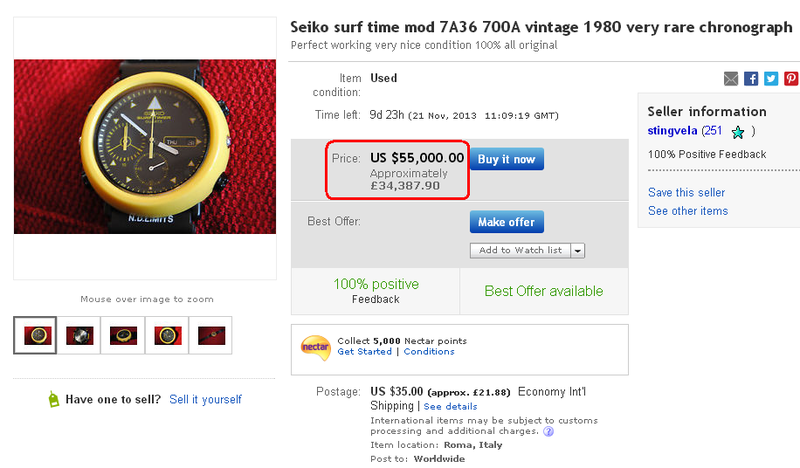 This has got to be 'up there' with some of the Craziest Prices ever asked for a Cartier Ferrari Formula - a yellow / grey 7A48 at that. 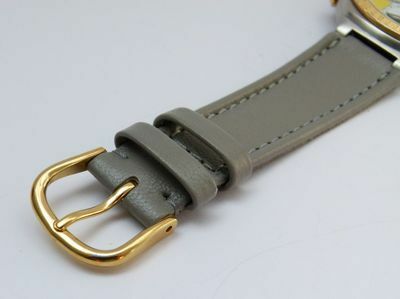 Unlike the eBay seller's username 'everything.original', the strap fitted isn't. 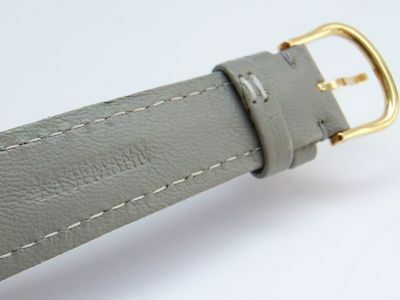 It's a replacement, not only in plain calf leather instead of shark, but without the desirable original Cavallino Rampante logo'd buckle. Indeed, James. Thank Heaven I've already got a mint 7A38-7140 in my collection - one that I only paid 200 Euros for too. Do I hear $20K anybody ?? 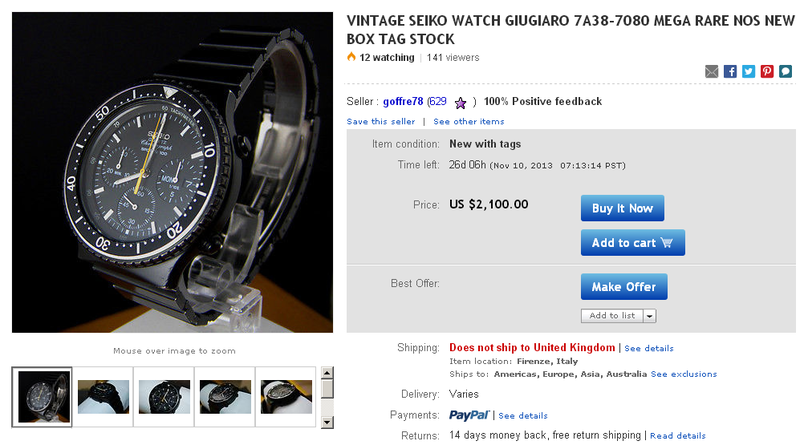 But with an exchange rate of 1 PHP = 0.0226101 USD / 1 USD = 44.2280 PHP, that's still $450 opening bid for a tatty 7A28-7100. Yup. That's more like it ! 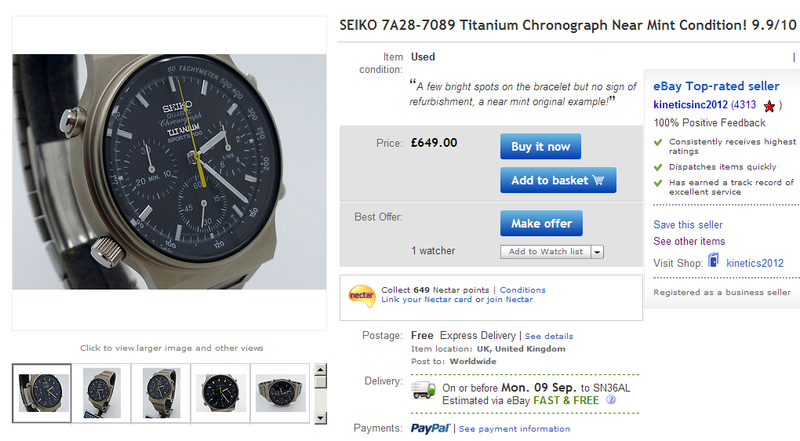 Another over-priced offering from Welsh profiteering re-seller (and ex-forum member 'Moonphase') - another Titanium 7A28-7089. His previous example in November last year had a £799 price tag - but he'd paid only £275 for it himself, just 2 months earlier. Free Express Delivery ? You'd think for that price he'd have it delivered by chauffeur driven limo ! Undisputed King of the Craziest Prices, Italian eBay seller Goffre78 continues to crank them out - this time he's asking $2200 for a NOS 7A28-7050 Giugiaro. 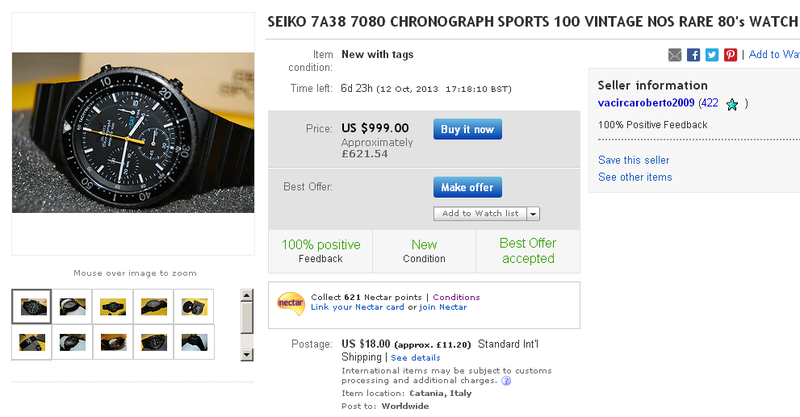 Still, at least that's $200 cheaper than the one Angeli_65 listed in January 2012 (see the first page). 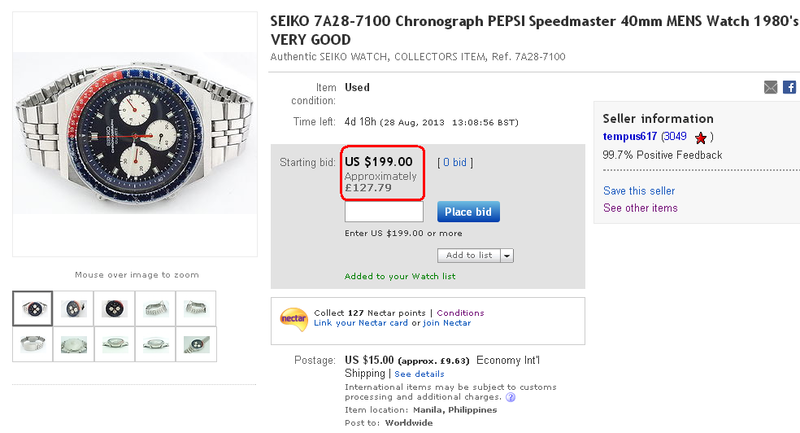 Maybe not so crazy any more, the prices these things are fetching lately. 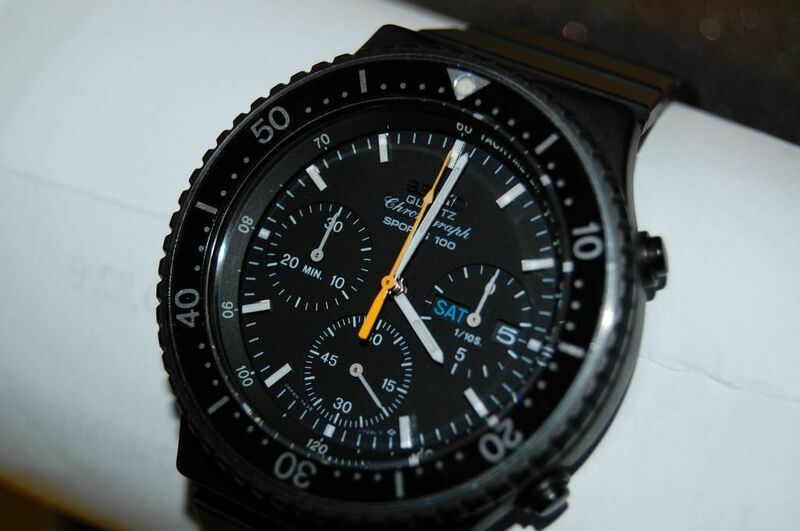 A NOS 7A38-7080 just listed by another Italian eBay seller. Yours for a mere $999 (approx £621.50). And yet another speculatively over-priced offering from our favourite (not) Italian eBay seller Goffre78 - an allegedly NOS 7A38-7080. 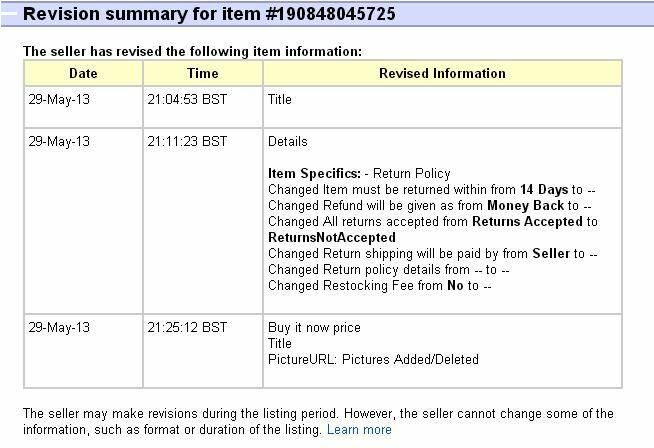 Now apart from being greedy and incompetent, Goffre78 is obviously lazy - particularly in the way he composes his eBay listings. 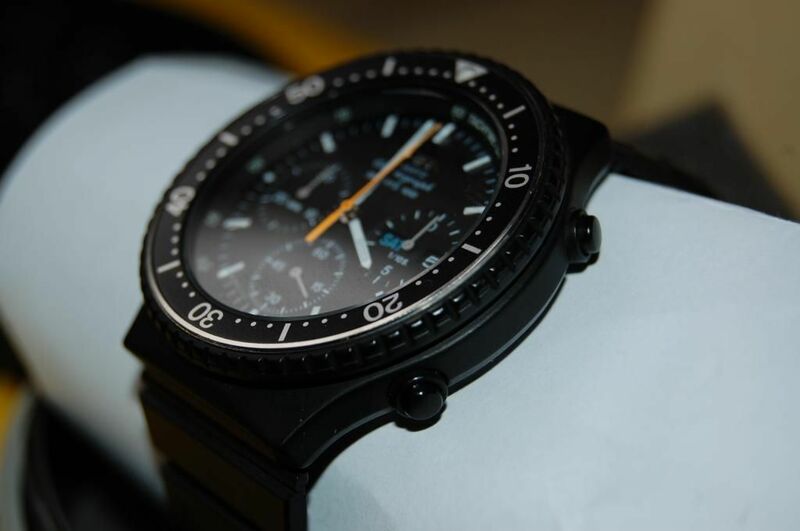 Often there will only be one grainy out-of-focus photo of the watch. Here's his first image from this listing. Pretty good by his standards. There's a couple of things 'wrong' with that photo. 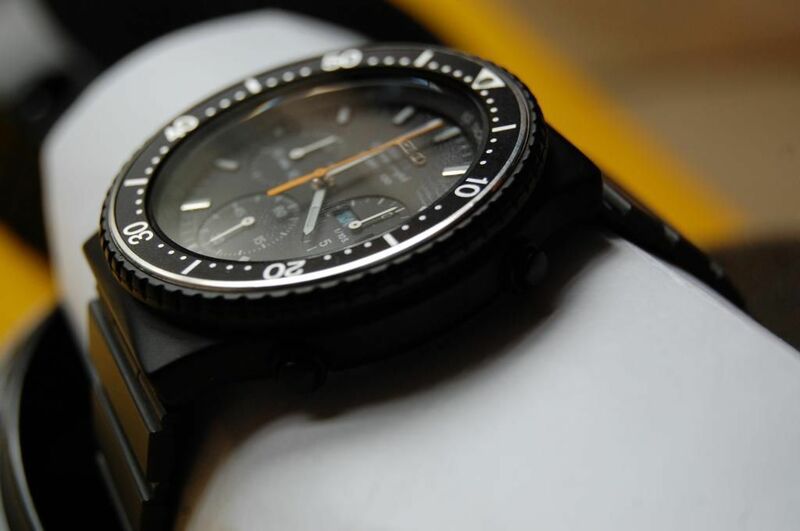 First of all, for a watch that is supposed to be 'New with tags', note the wear to the black chrome coating - particularly the chips to the bottom R.H. corner of the watch case. Reason is - that isn't Goffre's photo. The original was taken by Derek Bartle on 07/09/2009 - of his then recently restored 7A38-7080 (sold on TZ-UK in November 2012). 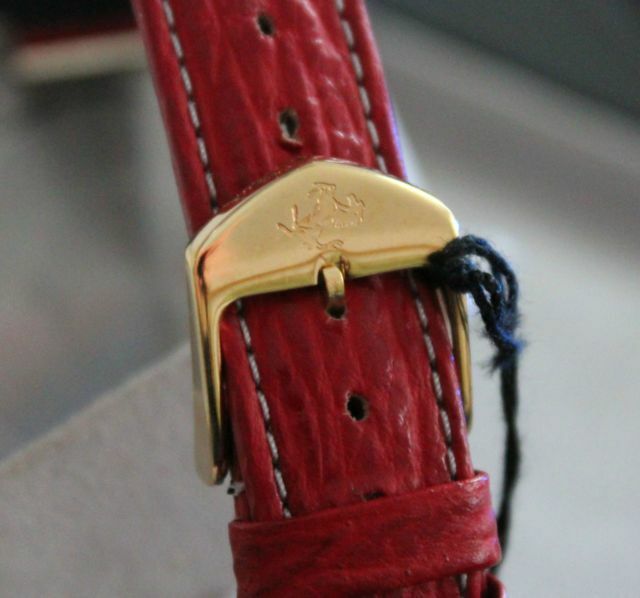 Note that this watch has the earlier style 'polished edge' hands. 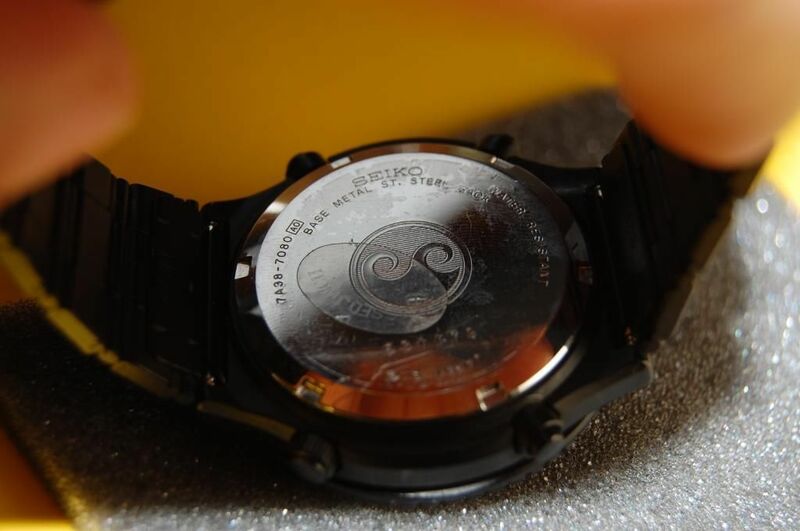 Note this watch (which does look in NOS condition) has the later style white painted hands. That seller had declined two offers (of $350 and $500). 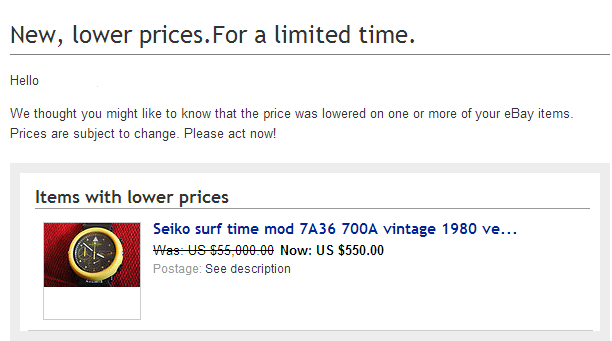 A forum member I'd been trading emails with about that 7A38-7080 was on the point of making the seller an offer of $600, when the listing was suddenly ended early, after two days - before he had the chance. 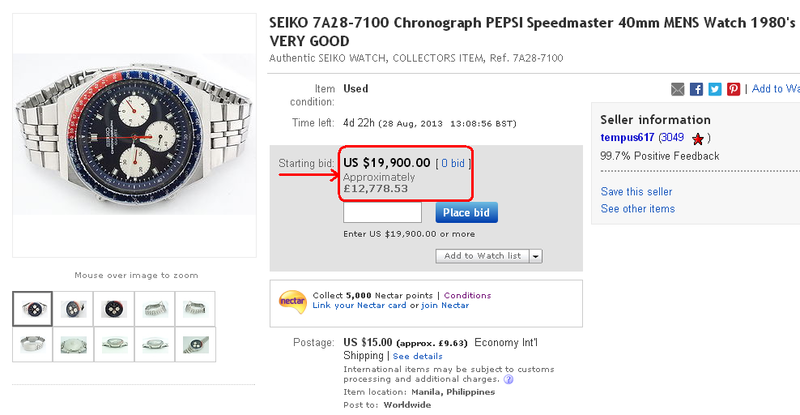 So what is Goffre78 actually selling (or attempting to re-sell) for the inflated price of $2100 ? 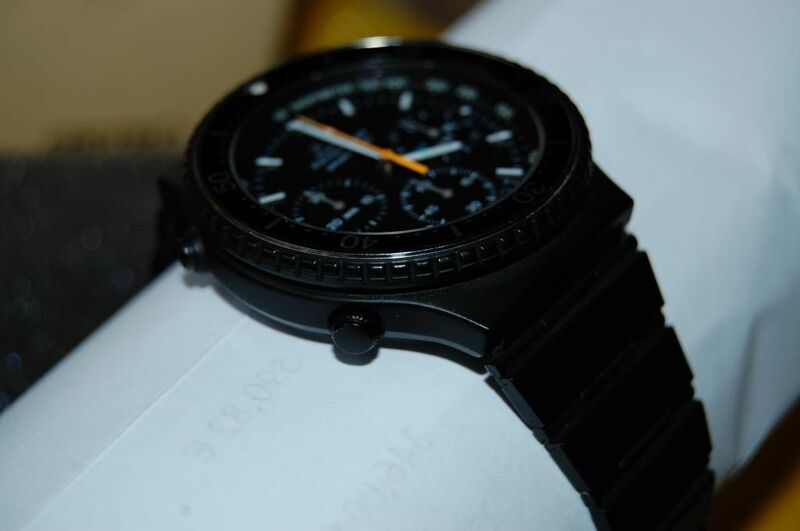 Is it the same watch as the other seller ? This thing has been scrolling around on my watching page for a while, I figured you'd be on it , Paul! Just carrying James' post from April forward onto the current page .... followed by my own reply - to which I'll add something presently. 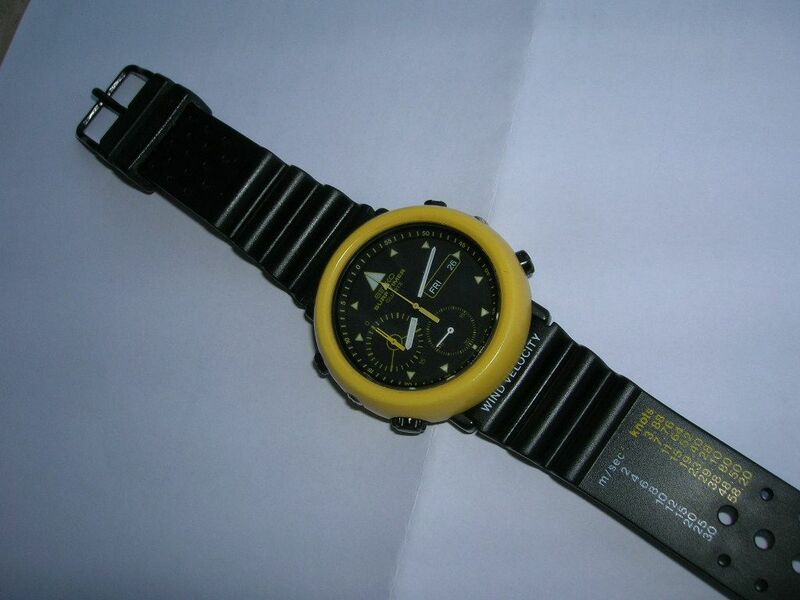 I bought this watch from new in the early 80s. I think I paid £130 and bought it from Argos. Five years later I put it in the loft and forgot about it. . I last saw it working 3 years ago but as I don't use it the battery has run dead and needs replacement. Condition: crystal has some tiny chips around the edge. There are one or two minor scratches on the crystal but not noticeable. The case and marked here and there and so is the back. UK buyer only. I am not sending this rare gem abroad. 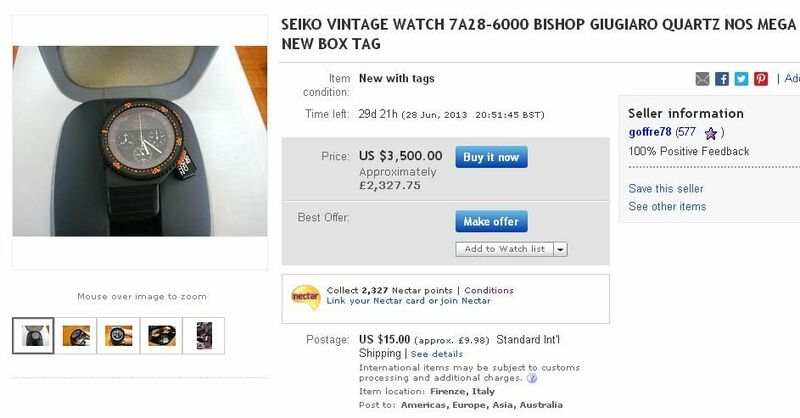 Somehow, I don't think he'll be sending this 'rare gem' (not) anywhere - anytime soon - unless he drops his price by a factor of 10 ! Needless to say, watchfan700uk is still re-listing his used stainless 7A38-7280 some 6 months and more later @ £500. He may have been 'the first', but he's not alone any more. This morning his was joined by another used stainless 7A38-7280 offered by the Italian eBay seller strega_68 - again for $800 / £500. 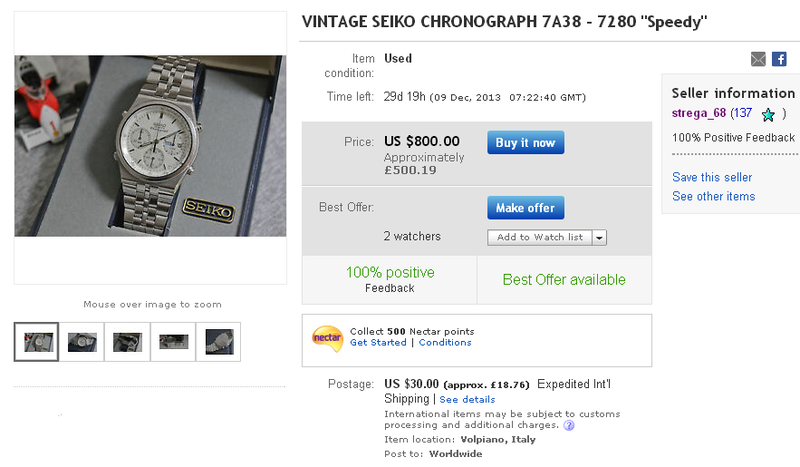 RARE SEIKO CHRONOGRAPH CALIBER 7A38-7280 "Speedy"
Perhaps I should consider increasing the insurance cover for my watch collection (like about 10-fold). I'm pretty sure we've already given a well deserved plug (or two) to Italian eBay seller Goffre78's two 7A36 Surf Timers in this thread. Both are NOS, but after umpteen re-listings he's still asking $1000 apiece for what are less-than-desirable 7Axx's to most collectors. I distinctly remember him dropping the Buy-it-Now price of the least desirable blue / green 7A36-7010 to 'only' $300 a few months ago and even then there were still no takers. So, following his perverse logic, for the last couple of months it's back up to $1000 again. It's fitted with a aftermarket black rubber dive strap, which although not 'correct' I personally think looks better than the original yellow. 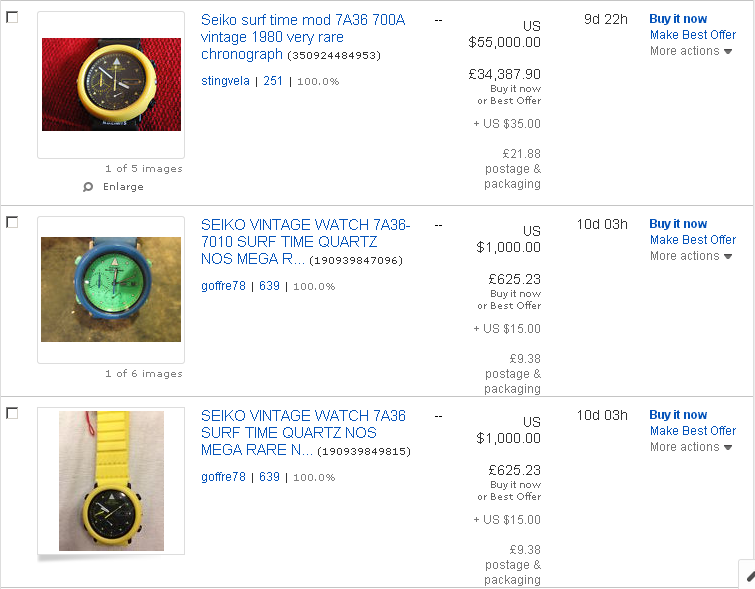 Then, over the last couple of weeks what appears to be the very same watch was listed on eBay, initially with a similar asking price. This morning the seller re-listed it once again. Are you ready for this ? Consider yourself well and truly gazumped Goffre !! Oh well, that was mildly amusing while it lasted. I reckon some of these Italian eBay sellers must still be thinking in Italian Lira when they set some of these crazy prices. I actually fell off my chair when I saw it! Ouch! Then be prepared to almost fall off again, Daz - 'cos here's another one ! Actually this one isn't quite so stupidly priced - it's 'only' $1800 as opposed to 1800 Quid. Had to smile to myself when I saw this US eBay seller had blatantly copied Kineticinc2012's listing title - and his mistake along with it. Both have included SSAY068 in their titles. 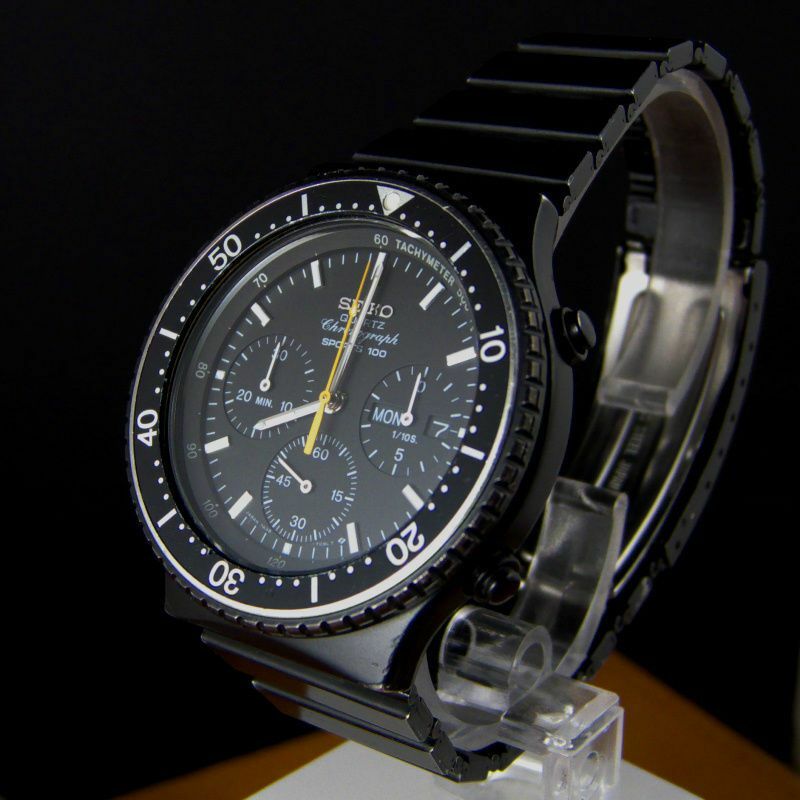 That's the product code for the JDM version of the 7A28-7000 (with Speedmaster logo'd clasp and the non SPORTS 100 dials). Whereas of course both their watches are actually normal export versions, with the italic Chronograph script - sales code SPR019J. Anyone would think the movements are handmade by George Daniels or something... lunacy, sheer and utter lunacy.